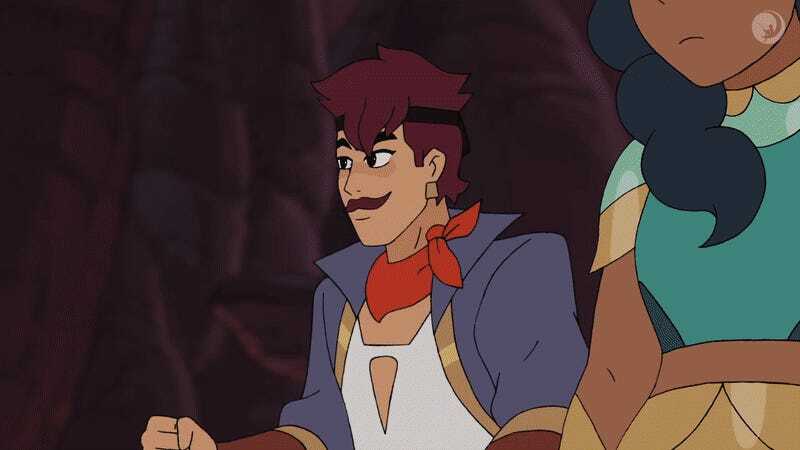 So far, all we’ve really glimpsed of Netflix and Dreamworks’ upcoming She-Ra reboot is Adora powering up as the titular heroine. Now, we’ve finally got a better look at not just Adora, but also her fellow princesses in action. The new She-Ra series will open with the young Adora as an orphan, raised by Hordak’s evil Horde after losing her family, leading her to believe that the princess heroes of the Rebellion are actually the bad guys. But, shocking twist! It’s the side literally called the Evil Horde that are the baddies, and Adora must learn the truth of her own legacy before she becomes the legendary hero She-Ra, fighting for love and justice for the Rebellion.